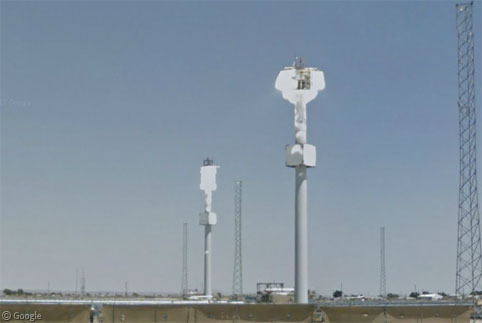 We’ve visited a few solar power generation facilities in the past, but here is a roundup of solar power towers – elevated structures surrounded by movable mirrors called heliostats. The mirrors concentrate solar energy onto receptors in the tower where the heat is used to generate steam, which drives turbines to create electricity1. 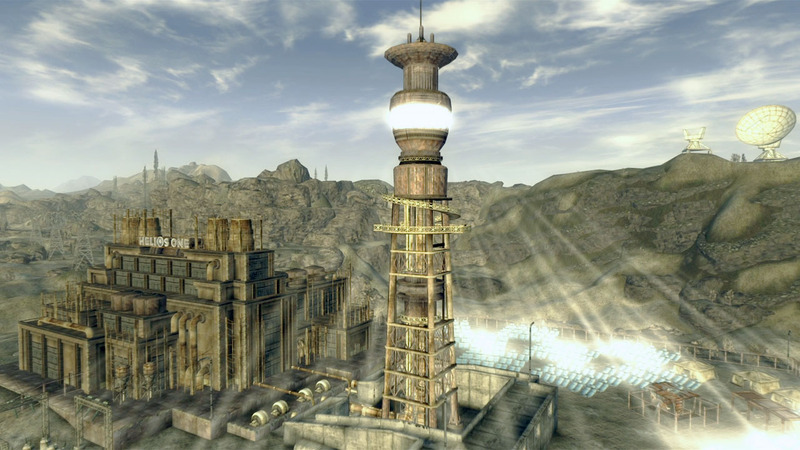 By far the largest location (by generating capacity) is the Ivanpah Solar Power Facility in California’s Mojave Desert, south-west of Las Vegas. 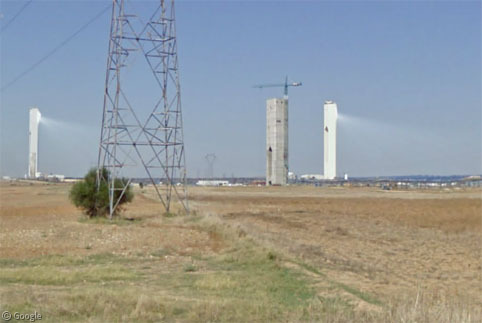 Google’s satellite view features imagery from two different time periods, and shows the three heliostat fields at different stages of construction – one fully complete, one with the inner-field areas nearing completion, and one still needing a fair number of heliostats to be installed. 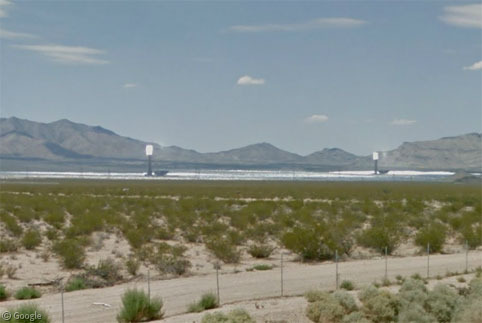 Ivanpah is actually the largest capacity solar plant of any type – there are parabolic trough fields which come close, but all other solar towers only generate 1 – 20 MW. About a 3 hour drive to the west in Lancaster, a prototype 5MW facility called Sierra SunTower uses a pair of towers to collect solar energy from 24,000 heliostats. … and to see from a short distance away just how concentrated the light gets near the towers, with rays clearly visible. 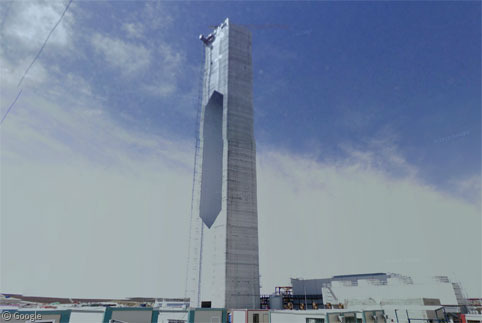 A third tower is seen nearing completion here as well. 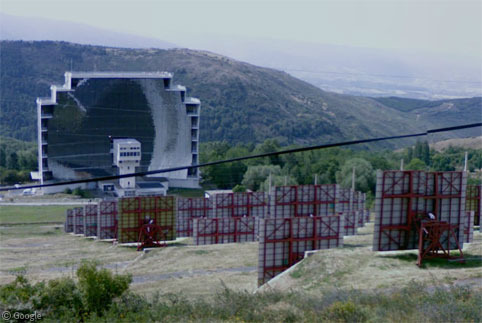 Further east, the Gemasolar facility is of similar size to PS20 and is also visible as a glaring bright object from a nearby highway. 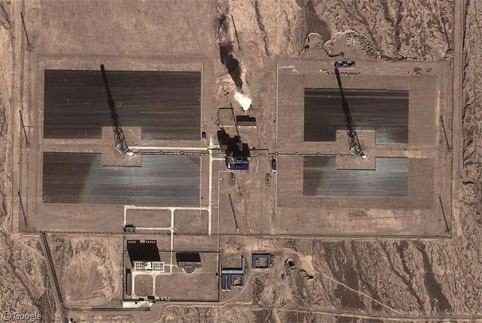 China has 3 solar power tower facilities, including this one in Delingha in the Qinghai province, which generates 10MW. 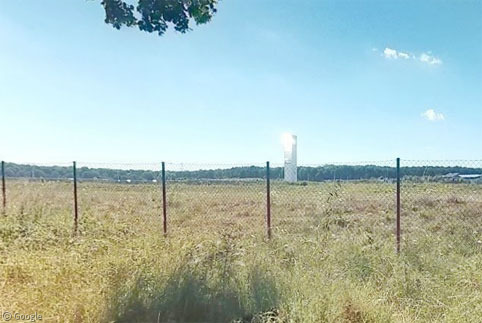 Finally, we can get a glimpse of the solar power tower in Jülich, Germany in this Photosphere from Dirk Huchtemann. The information used in my research may be incorrect. 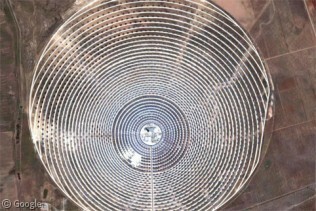 I just read a new article today which said Ivanpah will power 140,000 homes.